Relational Aggression is a covert form of bullying that often times goes unnoticed. Young ladies that are victims of relational aggression often times have difficulty performing in school, depression, low self-esteem, and suicide in extreme cases. Suicide is the third leading cause of death among young people. Bullying victims are between 2 to 9 times more likely to consider suicide. Young ladies between the ages 10 to 14 years old may be at even higher risk for suicide. Research has shown young ladies in foster care are more likely experience relational aggression. Let's make a difference. Let's fly above relational aggression. It is our mission to foster a safe and social climate for young ladies by promoting acceptance." It is our mission to foster a safe social climate for young ladies to feel accepted and give them a sense of belonging. SHEsteems is a social marketing campaign designed for young ladies in the 5th grade to build healthy friendships, promote academic success, and ultimately create a safe and social climate. With this campaign, we will reduce the number of young ladies experiencing relational aggression. 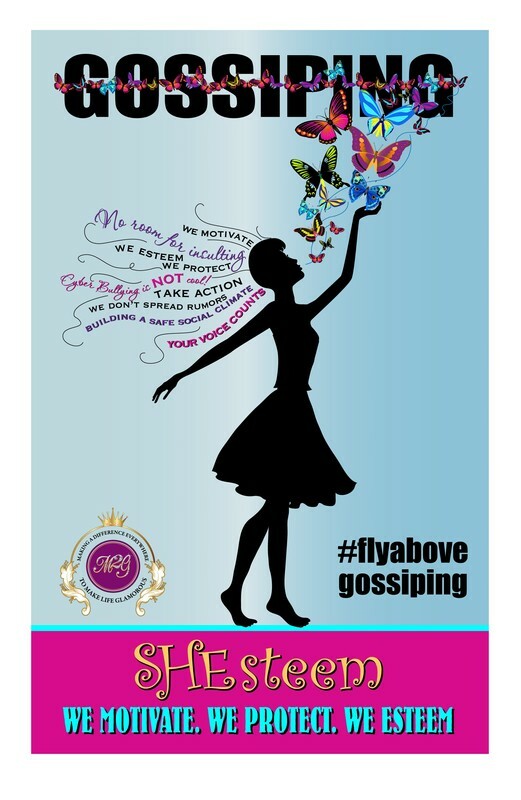 We are flying above relational aggression which includes gossiping, name calling, and cyber bullying. Fill out the form below to host a SHEsteems Rally. Click here to make a donation to Made 2 Glam, Inc.